A couple of months ago I was working on this project for La Crema. It’s a very sweet mini succulent wreath. While I was putting this little guy together, quite a few succulent leaves fell off their host. I had once read if you pop the end of the succulent leaf into a bit of dirt, then it would sprout roots! I was very interested to try this, but I hadn’t tried it until recently. So I tried it… and guess what? It worked. It’s hard to tell in the photo above, but all those plants have roots (and a couple went crazy and took over). 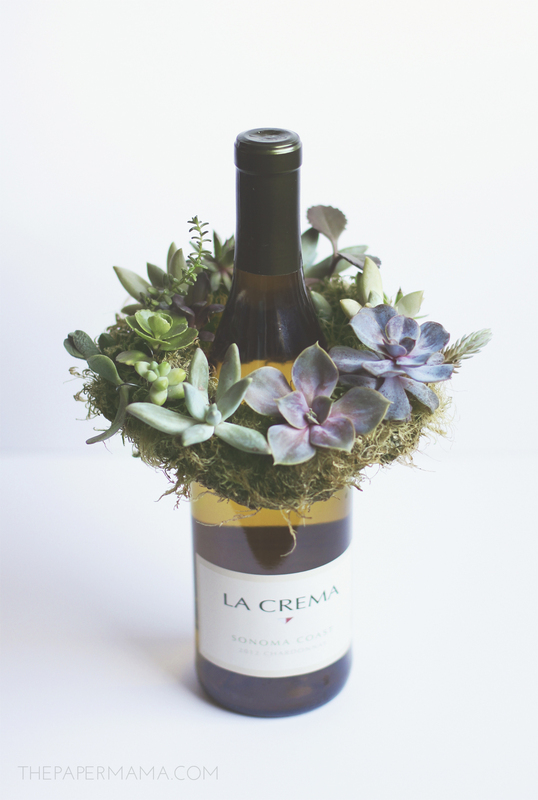 This is so perfect since I need a ton of succulents for an upcoming project. I gathered these succulents from all over (even from my neighbors yard, with permission). 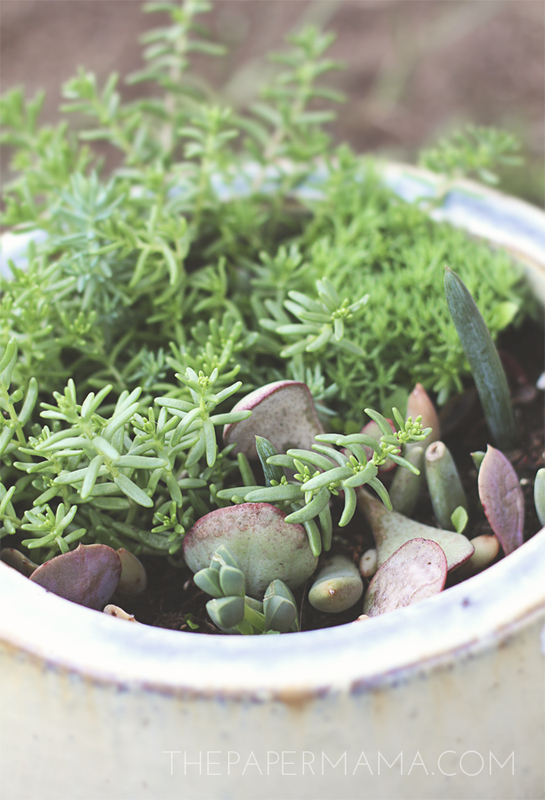 -To start, pull (or carefully cut) off a few leaves from some favorite succulent plants. If the leaves are super small, just cut a little section (a stem with multiple leaves) off. Set those leaves and cuts aside to dry for a couple of days. If you put it in the dirt too soon, it can absorb too much water and die. – There are a couple of ways to get your little leaves to start growing. One way is to place them on top of the dirt and gently water them with a spray bottle every few days. Another way is to actually push the end of the succulent leaf into the dirt and water every few days (don’t over water). 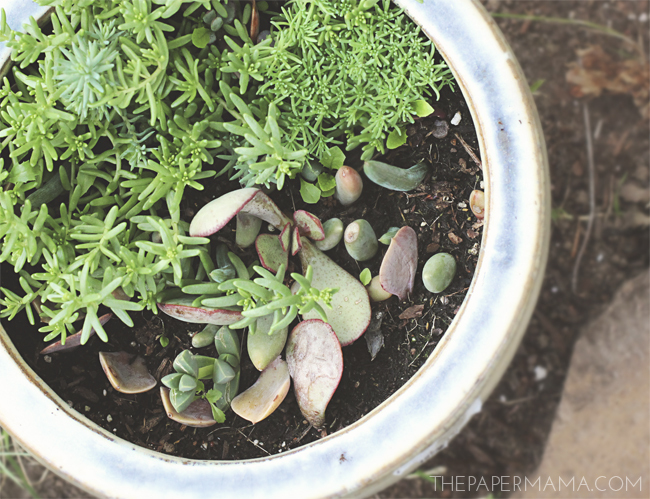 I had started with just popping the ends into the dirt, then a couple types of succulents died fairly quickly. When I tried them again on top of the dirt, the roots started. You can also try using Rooting Hormones to encourage root growth. – Succulents are a bit sensitive to extreme weather change. SO, if you plan on keeping these future plants indoors, keep your propagating plants inside. If this will be an outdoor arrangement, propagate the little leaves outside. Just watch for rainy days (we had a rain storm come by a month ago and flood out my poor plants). – It took some time, but after a couple of months we had some good roots and only a small bit of the cuts died. I’m transferring then to individual planters and setting them aside to grow a big more until in ready to start my big project. Yay! Maybe I can also make a couple more of these mini succulent wreaths (if you need the wreath DIY, it’s right here)? They are lovely. 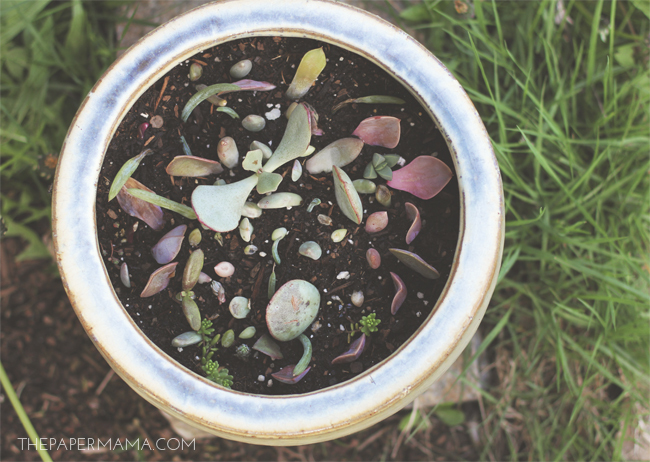 Have you ever tried propagating succulents? I did not know that. This is good to know! I am going to try this with mine and see how if I can get more to grow. I actually just learned this a few weeks ago and I can't wait to try it with my plants! I hope some leaves fall off by themselves because I'm too scared that my sometimes-black-thumb might destroy them. ha!